Prelude: Jetstorm is pretty much an unknown here in Germany, so he's something very special. At the time of this review he was available exclusively in Canada in very small numbers and only at Toys R'Us. 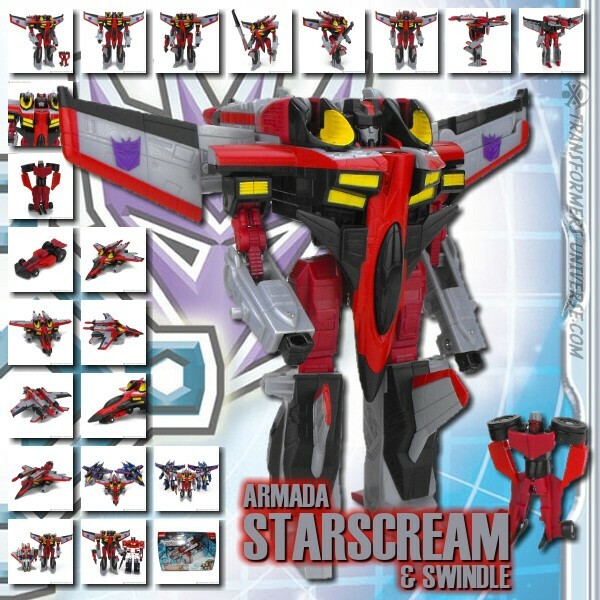 Also, he and Wingblade are the only Ultra-class Transformers in the Movie line. Now some people may ask, why is that? And don't I know this guy from somewhere? Correct. Jetstorm is a repaint of the Cybertron character Jetfire (or his Decepticon repaint Sky Shadow). Alternate Mode: Jetstorm is built to resemble an Antonow An-225 Mrija, which - considering the size of that particular airplane, makes him a giant. Jetstorm is mostly white with a few red highlights, resembling those found on Russian military transports. In vehicle mode Jetstorm features a few interesting sound effects, but little more than that. Robot Mode: Jetstorm's robot mode has caused quite a ruckus in the States, seeing as his head looks a whole lot like Soundwave, which in turn led to speculation regarding the second part of the Transformers movie. Jetstorm is, as you might expect from a toy that size, only moderately posable. His legs and feet do enable quite a few good poses, but his rather short and stiff arms are rather limited. The head sits on a ball joint, so no complaints there, and manages a rather hostile and arrogant look. Perfect for a Decepticon. An expensive, but worthwile investment. I like him a lot and he fits nicely into the Movie line.